An outstanding American scientist, author of numerous inventions. Born in Edinburgh, Scotland in the family of a famous teacher A.M. Bell. His mother was a famous portrait painter and musician. He graduated from Edinburgh University and University College in London. Bell began working with his father, who developed a method for the visible image of sounds. He used this method to teach reading to deaf people. In 1870, Bell moved to North America and during 1871, he lectured to deaf teachers in Boston and other cities. Over the next few years, he led his own school of physiology of voice in Boston, lectured and engaged in invention. His methods were of great importance in teaching the deaf. Bell was a great and fruitful inventor. Back in 1865, he was interested in the idea of transmitting speech by wire. In 1876, Bell managed to develop a device, by which he was able to convey to his assistant: "Watson, go here, I need you." The first public demonstration of the apparatus took place in the Academy of Sciences in Boston, and the next, more important, in the same year at an exhibition held once in a century in Philadelphia.So the telephone was put into use. 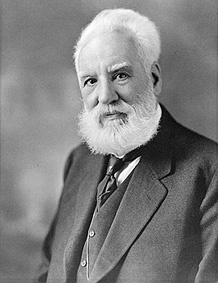 In 1877, Bell founded the Telephone Company. There were lengthy patent lawsuits in which Bell was fully supported by the US Supreme Court. He received a laboratory for the received Volta prize of 50 thousand francs, which developed the phonograph (gramophone). They also created a photophone - a device that transmits speech using light rays, an audiometer - a device for the deaf, a device for searching metal objects in the human body, and many others. Bell investigated the nature of deafness in humans, conducted a detailed study of its heredity. On his initiative, the journal Science was founded, which became the official body of the American Association for the Advancement of Science, and also in 1890 the American Association for the Support of Learning to Speech from the Deaf. From 1898, Bell headed the Smithsonian Institute, and in 1897–1903, the US National Geographic Society. After 1895, his research interests were mainly related to aeronautics.For many years he lived in Washington or at his summer home in Baddeck on Cape Breton Island in southeastern Canada, where he conducted numerous experiments with aircraft. Bell had many honorary degrees and titles from various American and European academies of science and universities. Died from a heart attack in baddeck. On a rainy morning on August 4, 1922, all phones were turned off for a minute in the USA and Canada. America was burying Alexander Greham Bell. 13 million telephone sets of thousands of various types and designs were silenced in honor of the great inventor. He was buried on top of Mount Beinn Bhreagh, in his estate, where he lived the last 35 years of his life. 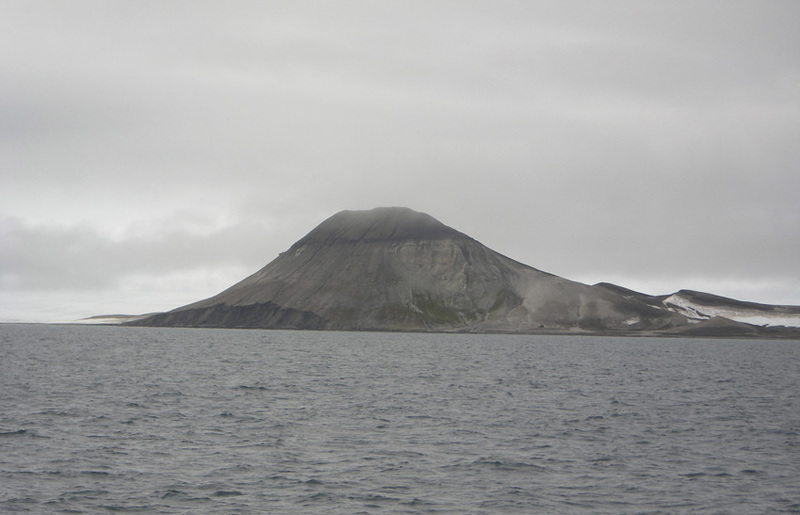 The island (Graham Bell) in the east of the Franz Josef Land archipelago. Opened and named in 1899 by E. Baldwin. 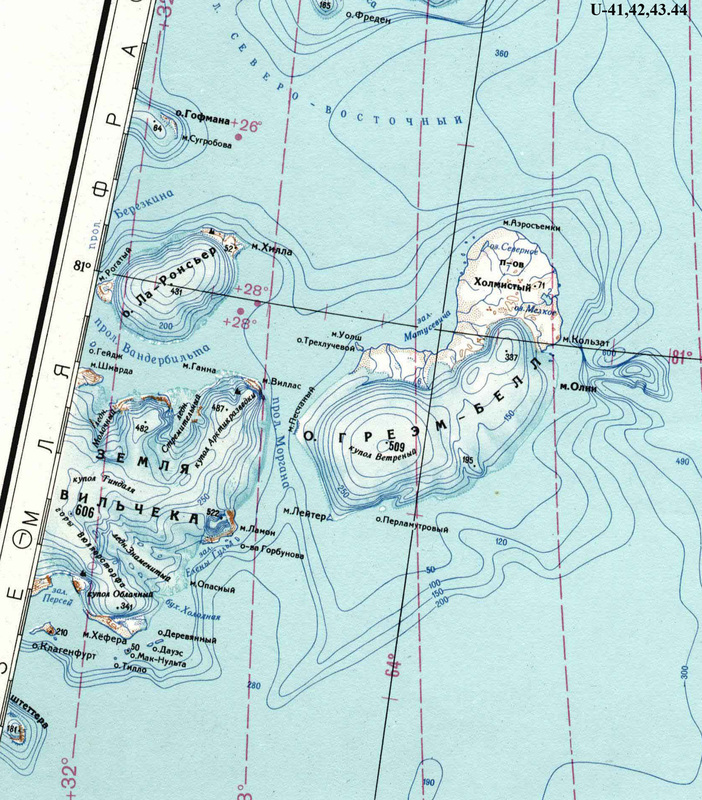 It can be assumed that the names of two other islands in the southwest of the Franz Josef Land are also connected with Bell - these are the Bell and Meibel Islands, discovered in 1880 by B. Lee-Smith. According to K.R. Markham the first of them is named for its bell-shaped form (“bell” in English bell). Perhaps the shape of the island reminded Lee Smith of Bella. The origin of the second is not established. Maybe this is the name of his wife Bella - Maybel Gardiner? Why not mention the Scottish Lee Smith, his already well-known compatriot.